Our esteemed editor Stuart said “Our readership wants to see more reviews of budget components”, so cast yer mince pies at the review given below, good readers. 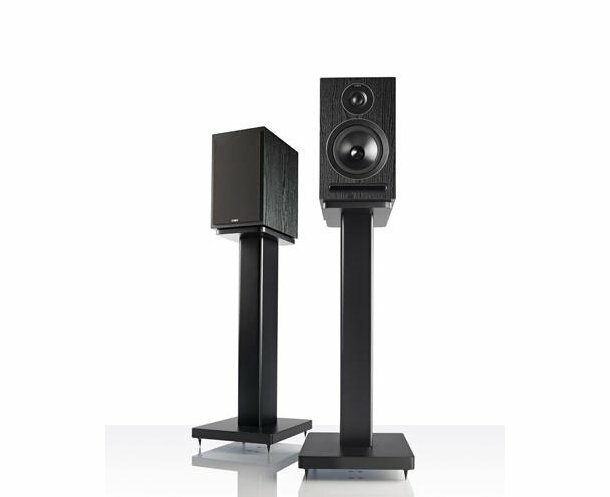 Acoustic Energy have produced a long line of highly accomplished bookshelf and floor standing loudspeakers, not least of which is the highly acclaimed original AE1 bookshelf/standmount model , which even today is still highly sought after on the secondhand market by all accounts. That legendary loudspeaker was truly diminutive in size, yet big in sound far and above what you would expect from such a small enclosure. Does this model the 101 continue that tradition? Let’s find out shall we. The pair of AE101s submitted for review here is a compact stand mount/bookshelf model measuring some 300 x 185 x 250mm (HxWxD), weighing 6 kilogrammes each . The review sample provided has a black ash vinyl wrap finish and it is also available in a walnut coloured/textured vinyl finish. It’s compact size means it can fit fairly unobtrusively into most domestic situations. The speakers come supplied with fabric covered grilles that are attached by hidden magnets embedded into the cabinets. The cabinet itself is manufactured from 18mm MDF with internal bracing and has a bass reflex port in the shape of a slot near the bottom of the front baffle. Driver complement is a 28mm fabric dome tweeter of AE’s own manufacture, as is the 110mm bass/mid driver with a custom spun and anodized aluminium cone with a foam suspension surround, the dust cap is also spun anodized aluminium in the shape of a cone. To the rear we have the connection panel with provision only for single wiring via 4mm binding posts. As far as appearance goes, with the black fabric grilles on and the black ash cabinet together looks fairly unobtrusive, but when the grilles are removed we see the drivers have a bright trim surround which looks more attractive, although that does seem to invite small curious fingers to go pushing speaker cones and dust caps in. In true AE tradition, the speakers are capable of handling up to 150 watts RMS and have a nominal 8 Ohms impedance with a minimum impedance of 6 Ohms. Sensitivity is quoted at 87db with a claimed frequency response of 48Hz – 32kHz (+/- 3dB). Nothing really untoward in that set of specifications, so amplifier choice therefore isn’t critical. Price at time of review is circa £275.00 per pair. 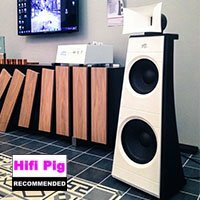 I decided to pair these speakers with 3 different systems to put them through their paces and get a handle about their capabilities. 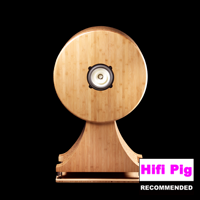 Firstly, a TEAC AH300 midi system, then paired with a Pro-Ject MaiA integrated amplifier (Reviewed by Hifi Pig) and finally teamed up with a Roksan K3 integrated (Also reviewed by Hifi Pig). First off then, my results with the TEAC midi system which normally have a resident pair of Eltax bookshelf speakers attached. This was not really a happy marriage as the AE 101s clearly showed the shortcomings of the TEAC’s amplification, which sounded lightweight and indistinct driving the 101s. Moving swiftly on, I connected the 101s to a Pro-Ject MaiA integrated amplifier. Now we were cooking; the little MaiA amp with it’s modest dimensions could put out 30 watts of good solid amplification and the AE 101s responded very well to the extra power and clarity. A delicious treble performance which was clean and vibrant, the sound of struck cymbals were as realistic as anyone could wish for, with a well defined metallic “ting” and the following decay all clearly rendered. Mid tones were slightly on the lean side giving a slightly cool balance to the sound. Of course, I didn’t expect the bottom octave to be forthcoming from the Acoustic Energy 101s due to their size, but even so that absence wasn’t missed because what bass was there I found to be very solid and articulate, full of expression and energy, well defined and textured. Placing the speakers on stands and close to the rear wall elicited an increase in bass output but that to me added a slight booming effect, so I preferred them out a bit into free space, around 3 inches was optimum for me personally. I found the imaging was precise and broad spanned, only just outside the speaker boundaries. Height and depth were both fine, aided no doubt by the contoured driver surrounds. They were equally at home on a desk surrounded by computer paraphernalia, so placement isn’t critical, aided of course by being front ported for the bass reflex. These two components seemed to gel well together and this was confirmed by my recent visit to the Bristol Sound & Vision Show where I heard the same pairing demonstrated being fed with a Pro-Ject turntable and sounding refined, even in a room full of seated and standing attendees to the show. Then moving on to a Roksan K3 amplifier driving the 101s with my resident CD player performing source duties. 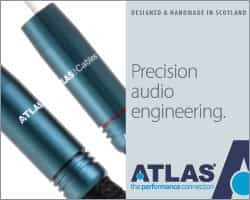 Speaker cables being used were the Audiomica CELES Excellence and ERYS Excellence interconnects (Also reviewed by Hifi Pig) which produced a very clean and dynamic signal for the 101s to really get their teeth into. 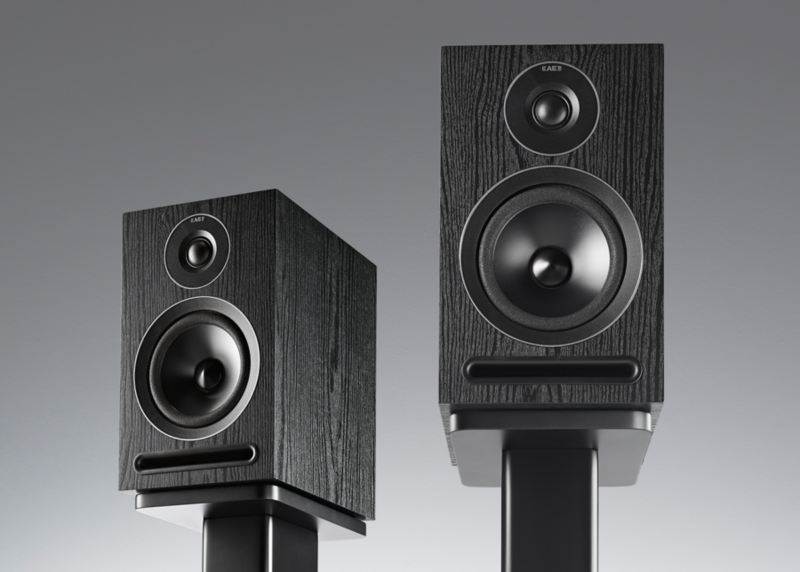 Now the Acoustic Energy 101s truly sprang into life, with improvements in all areas of the sound. I put Fink’s “Kind of Revolution” CD into the player and hit the PLAY button. With the extra power of the Roksan K3 amplifier, the sound was bigger and more dynamic, full of energy and vitality. The title track to this album has a pounding driving bass line from the bass guitar and kick drum which shows up timing errors very well, but the 101s held it together really well. Interestingly enough, I wasn’t aware the bass output was curtailed in frequency at all or attenuating the last octave, as it was solid and articulate with rich timbres. This album also has superb recordings of cymbals, especially so the Ride cymbal which is struck both hard and softly to the edge and centre throughout the album, so the recorded shimmer of the cymbal after the strike is stunning. Any speaker on test that ruins this subtle effect for me gets short shrift, trust me and the AE 101s passed that benchmark easily. Snare drum strikes were very fast and taut, sounding very realistic with the drum’s shell sounds being heard just after the strike with the drumstick, so dynamic speed resolution is up to the mark, but moving on to the midband region, I found the 101s to have a “forward” sort of presentation, so whatever is at center stage of the recording comes out to meet you rather boldly in front of the baffle’s plane so you were inclined to move back a few inches to glean the best effect of that sound. Some people love this kind of sound and are rather glad I just typed that, so it isn’t actually a criticism from me, more an observation as a reviewer listening to these speakers on your behalf. As a result though, it gives a bouncy springiness to the sound whereas other speakers are, how should I say this are, errrrrm, less “enthusiastic” in that area, but even so they didn’t elicit any listening fatigue from me even after a few hours of critical listening with a wide variety of music genres. To summarize then what the Acoustic Energy 101s capabilities are, I would say they are no shrinking violets skulking in a corner to escape attention, they come out and say it like it is as, characterized in true Acoustic Energy fashion. 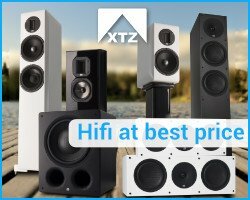 Unlike most “budget” speakers however, feed them a clean undistorted signal with power and control and you could be well rewarded with exhilarating sounds. Pairing them with the TEAC system certainly brought out the Mr Hyde in them which I quickly discovered, while the Dr Jekyll identity of the 101s was a large measure of rather pleasant company to be with when the Roksan K3 amplifier was driving them. While the 101s specifications say the frequency response goes down to 48Hz, the sounds you hear doesn’t suggest that bass output is curtailed below that frequency, because I found them a most satisfying listen throughout my entire time with them with regards to bass. Treble is sweet and crisp, able to sound realistic in the truest sense. 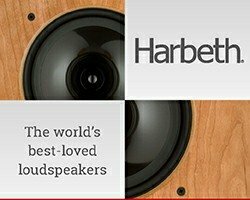 Midband performance has a ballsy quality and lively flavour which will please many folks I am sure, so I can recommend them as a fine performer, if indeed they match your particular taste in loudspeakers . 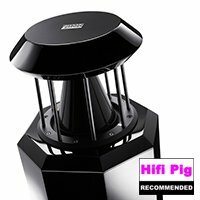 Recommended for: It’s up front verve and treble refinement with solid communicative bass when fed by quality amplification.